A survey of Austrian veterinarians reveals that most will reject a request to euthanize a horse on the grounds of convenience. Svenja Springer, Florien Jenner, Alexander Tichy and Herwig Grimm have reported in the journal Animals on their findings of a survey of Austrian equine veterinarians’ attitudes to euthanasia. The four, from the University of Veterinary Medicine, Vienna, noted that only a few scientific papers have been published which concentrate on the horse owner’s perspective on euthanasia in equine practice. “Data findings on veterinarians’ attitudes toward euthanasia in equine medicine are even scarcer,” they observed. The researchers said the treatment of horses was often associated with significant costs which owners may be unwilling or unable to pay. 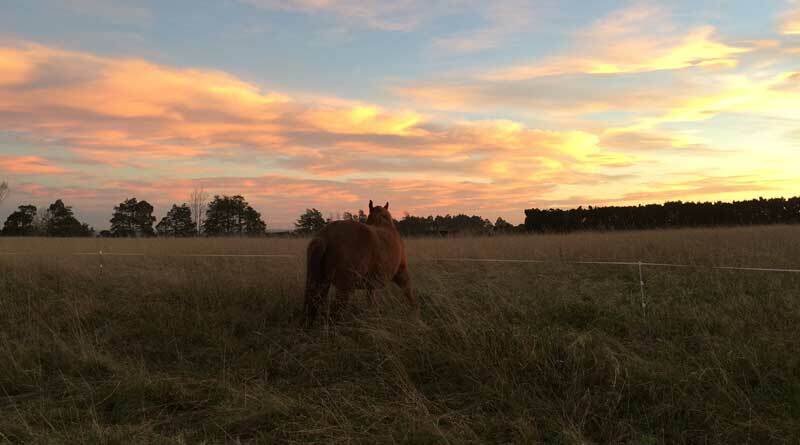 In some situations, owners might refuse to go ahead with medically indicated euthanasia of a horse due to their strong emotional bonds to the horse – they cannot bear to part from it. Thus, convenience euthanasia, the over-treatment of suffering animals and the influence of financial considerations on treatment decisions often create ethical dilemmas in veterinary practice. The researchers carried out an anonymous questionnaire-based survey of Austrian equine vets for their study. They sought to identify factors which may influence decisions on the ending of a horse’s life. In total, 64 vets completed the 56-question questionnaire – a response rate of 23.4%. The survey included a series of case scenarios put to the vets. The study showed that veterinarians are aware of owners’ emotional bonds with their horses and financial background. However, requests for convenience euthanasia are typically rejected. The attitudes of veterinarians were shown to be largely shared, although there were some differences around gender and working experience. “Veterinarians consider not only medical but also social and economic factors, to be of great importance,” the study team reported. They continued: “The survey respondents indicated that they would not continue to try to convince the owner of a severely laminitic mare of the necessity to euthanize once she/he had refused euthanasia despite in-depth explanations. When equine patients are suffering from incurable diseases and owners decide against medically indicated euthanasia, conflicting responsibilities create an ethical dilemma and role conflict for the treating veterinarian. Austrian veterinarians also have the option of notifying the official veterinarian, recruited by the government to perform authorized duties on its behalf, in cases where the condition of the animal is no longer bearable for animal welfare reasons. In the case of neglected horses, most veterinarians in the survey indicated they would tell the official veterinarian. Male veterinarians were more likely to consider that carefully considered euthanasia is a positive part of their practice as veterinarians. “Although veterinarians know they have limited influence on owners’ decisions, they agreed that it would be very difficult for them to euthanize against their own convictions. Four out of five convenience euthanasia requests resulted in a strong refusal to euthanize the horse despite the external pressure applied by the owner. “In addition, it is clear that alternative solutions, such as finding a new home for the animal or offering payment in installments, can offer alternative options. The differing financial backgrounds of owners demand high flexibility in the planning and provision of medical services, the researchers said. “We conclude that veterinarians are aware of the multiple factors that influence their decision-making and gave indications as to the weight of animal and owner-related factors in the handling of euthanasia in equine practice,” the authors wrote. “They are aware of owners’ emotional bonds with their horses and financial background, and they reject requests for convenience euthanasia. Svenja Springer, Florien Jenner, Alexander Tichy and Herwig Grimm.